Do you feel like your website is just not connecting with you and your audience? Perhaps it’s not providing what you need from it… Or perhaps it’s time to look at moving on to something new? This guide discusses ways to make your website more engaging, perform better, attract attention and create an impact that will make the competition jealous! What do you want out of your website? 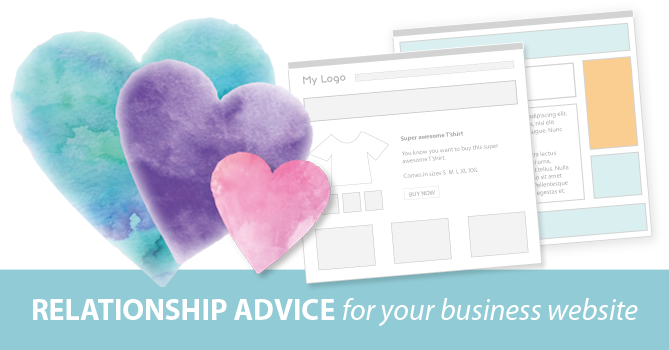 Building a rewarding relationship that is going to work for your business and for your customers, starts with defining what you need and what you want to gain from your website. How can your website help out with some of the daily chores? Such as customer service enquiries. Having clear calls to actions and easy to read information answering the most common asked questions can save you and your customers time. How can your website please you? Does it need to impress a great audience or perhaps bring in the money?! Is your website worth talking about? Are you happy to show it off to your peers? Establishing the right mix of elements will make your website perform better and stand out amongst competition. If not, then your visitors will likely think the same. It does not matter if your website is large or small, long and scrolling or wide and bloated. It’s what’s inside that matters most! Branding: your branding should be promoted clearly, with your logo in a prominent position, with consistent use of colours and fonts. This helps provides visual recognition for your business. USP: your unique selling points should be clearly defined to let customers know why to choose your business over others. Consider your points of difference; such as quality, years of experience, distribution options, service and support options etc. Layout: is your content easy to read? Can you easily find key information? Make sure your core information is easily accessible; otherwise your website visitors will get frustrated by not being able to locate what they are after or worse could go to the competition! Search engines such as Google, Yahoo and Bing as well as your website visitors LOVE NEW CONTENT! It’s like putting on a new outfit and strutting it out in town – new and relevant content can turn heads, create an impact on SEO and make your competitors wish they had it on their website. Regularly adding engaging and relevant content on your website that contains the sorts of keywords you want to be found for can make the difference to give your website a lift in the organic ranking ladder. Your website content should read like a good conversation between friends – be direct and straight to the point, appealing and full of great advice. I recently wrote a guide on DIY SEO improvements, worth a read if you’re not already familiar with the basics on what makes Google love your website. If your website is not striking in visual appeal, looks outdated and does not provide enticement then you may lose customers who will go elsewhere. Is it eye-catching to passers-by? Does it look modern and interesting? Does it offer your customers an incentive to find out more? If you answered ‘No’ to any of the above, it might be time to consider a make-over! When thinking about a new look and feel for your website, take a look at competitor websites and other industry related websites and make a list of all the features you would like. 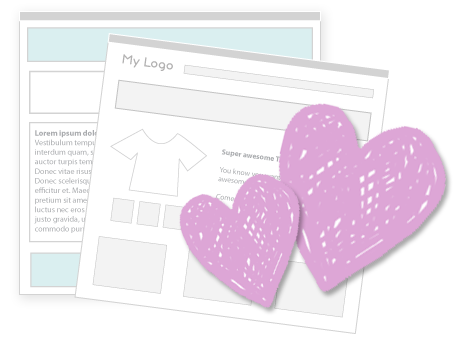 Provide your wish list to your website developer so they can quote to suit and advise on options. Website interaction can be the stand-out difference between a successful online store compared to an online brochure that receives no enquiries. After all who would want to make contact with a website that seems static, boring or aloof! Or even worse, a complete mess! Is your website interactive and engaging to its audience? Does it have clear calls to action? Does it clearly communicate your products and services? There are lots of ways to interact and communicate with your visitors and potential customers such as via contact forms, polls and surveys, email sign-ups, social media integration and live chat. Think about the sort of information and points of communication that you feel your customers would need or desire from your website. Implement these strategies on your website and you will end up with a long term relationship that is successful and rewarding. I hope you have enjoyed reading this article. If you’re after a new business website or want to give your current website a make-over, Digital Spice provide professional and affordable website solutions, feel free to contact Digital Spice for a quote.